Dalton offers a full range of analytical development services to our customers. 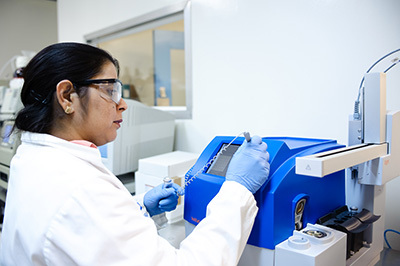 We have extensive experience in the development of robust analytical test methods for raw materials, in-process tests, drug substances, APIs / impurities as well as drug products (including complex injectables). Dalton also has experience in working with Stress Indicating Assays in support of Stress Degradation Studies. Our experienced analytical development scientists can accelerate your development program by having the same team work on development of analytical methods for both API and finished products, thereby minimizing the overall development time. Upon completion of the development, Dalton can qualify or validate the analytical test methods to your rigorous standards, including challenging the linearity, accuracy and precision of the methods, ensuring that the method performs over the desired range. Dalton is your full service provider of Analytical Development Services.